"The World Health Organization has cited homeopathy as one of the systems of traditional medicine that should be integrated worldwide with conventional medicine in order to provide adequate global health care by the year 2000." Homeopathy is a low-cost, nontoxic system of medicine used by hundreds of millions of people worldwide. It is particularly effective in treating chronic illnesses that fail to respond to conventional treatment, and is also a superb method of self-care for minor conditions such as the common cold and flu. Throughout its 180-year history, homeopathy has proven effective in treating diseases for which conventional medicine has little to offer. Nonetheless, homeopathy is practiced around the world, with an estimated 500 million people receiving homeopathic treatment. GENEVA (AP): In response to a rapid increase in the use of alternative medicine over the past decade, the World Health Organization has created the first global strategy for traditional medicine. The United Nations health agency aims to bring traditional or alternative therapies out of the shadows by intensifying research into their effectiveness and safety, by promoting their proper use and regulation and by helping countries integrate them into their health care services. In Europe and North America, where more than half of the people have been treated with alternative medicine at some time during their lives, use has doubled in the past decade, the agency added. "This is a very important step for modern science, to engage in understanding the complexity of complementary medicine. Falkenberg said, "One cannot any more marginalize this area. One needs to bring it into the light to understand what to do with it, how to take away the unsafe practices.'' He said the WHO's decision to create a strategy for alternative medicine is a clear signal that the field is now being taken seriously. Studies have shown success in treating conditions ranging from malaria and HIV/AIDS to high blood pressure and lower back pain. The WHO intends to help countries trying to evaluate therapies by providing guidance on how to conduct the studies. It will also provide countries with expert advice on setting up consumer education programs to help people select the right therapies for the right conditions. It also plans to advise nations on how to ensure the quality of traditional medicine products and practices. That involves regulation of drugs and proper training and licensing of healers, WHO said. In the Western world, Canada has advanced furthest down that path. Seventy percent of people in that country have used alternative medicine and one third of the population uses it on a regular basis, said Dr. Jean Lariviere, a senior medical adviser in Canada's health department. In the United States, an estimated three thousand medical doctors and licensed health care providers practice homeopathy, and the number continues to rise annually. The FDA (Food and Drug Administration) recognizes homeopathic remedies as official drugs and regulates their manufacturing, labeling, and dispensing. Homeopathic remedies also have their own official compendium, the Homeopathic Pharmacopoeia of the United States first published in 1897. In Europe, the birthplace of homeopathy, there are approximately six thousand practitioners in Germany and five thousand in France. All French pharmacies are required to carry homeopathic remedies along with conventional drugs. In Britain, homeopathic hospitals and outpatient clinics are part of the national health system, and homeopathy is recognized as a postgraduate medical specialty by virtue of an act of Parliament. Homeopathy has also enjoyed the patronage of the British royal family for the past four generations. It is also widely practiced in India (where over twenty-five thousand doctors practice homeopathy), Mexico, Argentina, and Brazil. Still, homeopathy continued to gain attention in America due in part to its great success in treating acute and epidemic diseases, notably cholera and black fever. During an 1849 cholera epidemic in Cincinnati, Ohio, only 3 percent of those patients treated homeopathically died, as compared to the 40 to 70 percent death rate among those treated with conventional medicine. The Food and Drug Administration (FDA) has regulated homeopathic products as drugs since the passage of the Food, Drug and Cosmetic Act of 1938. This is a unique legal status shared with no other complementary therapy. FDA recognizes both single substance and complex homeopathic remedies and all must meet the rigorous requirements of the Homeopathic Pharmacopoeia of the United States (HPUS) as well as all Good Manufacturing Practices (GMPs) for pharmaceuticals. Of all the holistic medical modalities, homeopathy is the only one with no known drug interactions, contraindications, or side effects. Unlike herbs and supplements, which may only have general structure/function statements on their labels, homeopathic medicines can be sold with specific drug claims. One of the fastest areas of growth in the natural products industry is homeopathic remedies for children with teething tablets and complexes for earaches, allergies, stomach upsets and hyperacidity. In the 1879 epidemic of Yellow Fever, homeopaths in New Orleans treated 1,945 cases with a mortality rate of 5.6 percent, while the mortality rate with standard medical treatment was 16 percent. At this time some of homeopathy's more illustrious supporters included John D. Rockefeller, Thomas Edison, and Mark Twain. The sports fitness category is another strong growing area for homeopathic sales. Topical gels and ointments are hot sellers and are successfully introducing many Americans to the benefits of homeopathic medicine. There are also numerous combination remedies for injuries from accidents or overexertion; most include the best selling single ingredient remedy: Arnica Montana (Leopard's bane). Homeopathy is a nontoxic system of medicine based on the belief that the body is a self-healing entity, and that symptoms of illness are caused by the body's attempts to restore balance. Homeopathy can be used to treat almost any disease or health problem.Homeopathic practitioners have successfully treated allergies, arthritis, asthma, diabetes, epilepsy and many other chronic diseases such as HIV. Over the counter homeopathic remedies can be used to treat other conditions such as colds, flu, headaches, fever and PMS. In the 20th century, Canada and the USA were the homes of no less than 22 homeopathic colleges and 100 homeopathic hospitals. 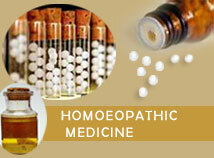 The Royal Families of Europe and India have always preferred homeopathic treatment than other forms of treatment. The British Royal Family's interests in Homeopathy continue to this day. Homeopathy is now rapidly being embraced throughout Canada and the USA as an increasing number of people are rediscovering its benefits. Homeopathy with its use of natural substances in minute doses, absence of harmful side effects, and holistic person oriented approach – is attracting an ever-widening public.